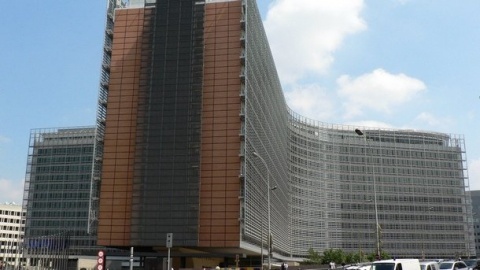 The European Commission announced Wednesday that Bulgaria might face an interim report on justice and home affairs in case "the situation requires it." The warning was issued in the aftermath of new judicial appointments in Bulgaria and was stated by Olivier Bailly, spokesperson of EC. "There were serious allegations of trading influence and corruption on the part of one of the candidates," Bailly, cited by the Bulgarian National Radio, BNR, said, but did not disclose a name. He reminded that the EC has called on the Bulgarian Parliament to assume responsibility and conduct tipoff probes, stressing the Wednesday vote in plenary hall had not included such probes. The spokesperson stated EC is alarmed by the latter and intents to monitor very closely processes in the Bulgarian justice system and to reflect them in the next monitoring report under the Cooperation and Verification Mechanism. In answering questions from the media, he noted that EC expects from Bulgaria to adhere to European standards in the forthcoming election of Chief Prosecutor and Chief Investigator, and in all other judiciary appointments. Bailly explained the interim report is pending upon assessment of the situation in Bulgaria. He noted EC's intentions so far were to still issue the next report at the end of 2013 unless "the situation develops in the wrong direction." Ignoring strong criticism from EC that the Parliament is covering up tipoffs against one of the candidates, the Bulgarian MPs elected Wednesday the 2 constitutional judges from their quota. When EC released its monitoring report in July 2012, it was announced that unlike Romania, Bulgaria would not be subject to such report until 2013. The two constitutional judges, elected by the Parliament, are Anastas Anastasov, Deputy Speaker of the Parliament from the ruling, center-right Citizens for European Development of Bulgaria party, GERB and the Deputy Chair of the Supreme Administrative Court, VAS, Veneta Markovska.